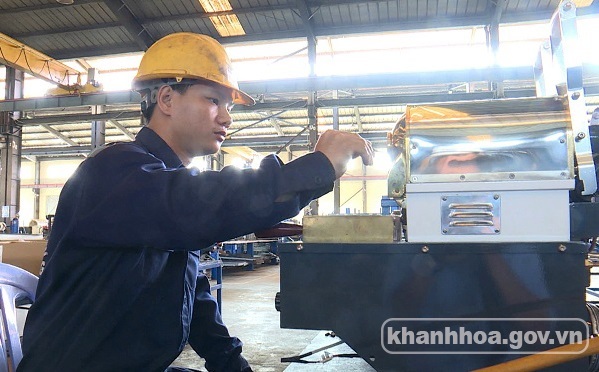 10 months of 2018, the industrial production index (IIP) of Khanh Hoa province increased by 7.1% compared with the same period last year. The manufacturing sector has IIP increased 8.89% over the same period last year. Of which, the manufacturing and processing industry increased 8.89% over the same period; water supply, waste management and waste management increased 7.29%; mining industry decreased 22.36%; production and distribution of electricity, gas, hot water, steam decreased 5.47%. Some industries have increased production index: wood processing and products from wood, bamboo; beverage production; leather production and other transportation means; some industrial products haves high increased production index compared to the same period include: sanest beverage; RE sugar; commercial power... Particularly production electric, natural fiber, frozen fish... have low or decrease IIP.